Last week we learned of a young girl in South Carolina growing fruits and vegetables to donate to food banks in her community. This week, we go to New York to check in on a horticultural training program behind bars. Since 1996, the Horticultural Society of New York has run GreenHouse. Based on Rikers Island, it's dedicated to reducing the recidivism rate by offering men and women who are incarcerated an innovative jail-to-street program using horticultural therapy as a tool to prepare them for reentry. GreenHouse provides remedial education, skill development and vocational training in horticulture. Hands-on experience includes designing, installing and maintaining the multi-use gardens, and the design and construction of garden fixtures. Upon graduating from the program on their release, they have the option to join the GreenTeam, a vocational internship program. There is also a new education program, Project Jailbird, which has the prisoners spot, describe and record migratng birds that stop at the feeders placed throughout the garden. While there is no Birdman of Rikers, the goal is to contribute the Rikers data to the Great Backyard Bird Count, managed by Audubon and the Cornell Lab of Ornithology. How is the progam working, you ask? Prisoners in the general population at Rikers Island have a 65% recidivism rate, those in the GreenHouse program? 10%. I am going to water my plants as soon as I finish typing. 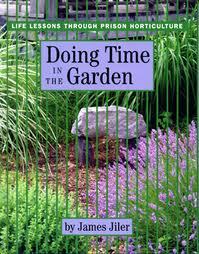 You can read more details about the program and people in it in this article by Maria Finn or go online to check out Doing Time in the Garden, a comprehensive guide to in-prison and post-release horticultural training programs written by James Jiler, the former Director of the program. 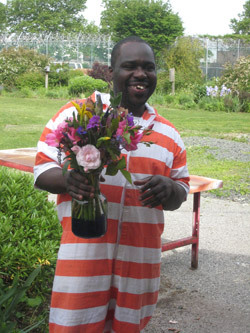 Love what The Hort is doing and want to learn even more and see some of the Rikers gardeners? Check out their video Changing Lives. This is so cool! Thanks for sharing, Kristian!